With malice toward none, with charity for all, with firmness in the right as God gives us to see the right, let us strive on to finish the work we are in, to bind up the nation's wounds. Occupying the eastern portion of the great bulge of North Africa, Tunisia is bounded on the west by Algeria, on the north and east by the Mediterranean Sea, and on the southeast by Libya. In 1955, France granted Tunisia complete internal self-government, and full independence was negotiated in 1956. The country became a republic in 1957 when the Bey was deposed by a vote of the constituent assembly. What powerful ancient city was located near modern day Tunis? LASIK is a form of refractive laser eye surgery performed by ophthalmologists to correct myopia, hyperopia, and astigmatism. The surgery generally eliminates the need for glasses or contact lenses and is a less painful alternative to photorefractive keratectomy. LASIK is a two step process. First, a flap of corneal tissue is created and folded back to reveal the cornea, which is then remodeled with a laser. What have studies revealed about the safety and efficacy of LASIK? Eliot was an educator and the president of Harvard from 1869 to 1909. 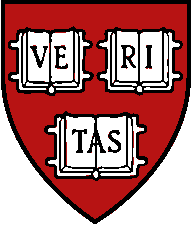 Under his administration, Harvard developed from a small college with attached professional schools into a great modern university. Several notable reforms were introduced during his tenure: the elective system was extended, the curriculum was enriched, written exams became mandatory, and the faculty was enlarged. Eliot opposed football and tried unsuccessfully to abolish the game at Harvard. Why did he object to the sport?